PRISTINA (Kosovo), January 25 (SeeNews) – The U.S. called on Kosovo and other regional stakeholders to demonstrate commitment to normalisation, regional peace and stability, and movement on the path to EU integration, the U.S. embassy in Pristina said on Friday. “We reiterate our view that an immediate suspension of the tariff on imports from Serbia and Bosnia is one necessary measure to restore momentum to the Dialogue process,” the embassy said in a statement. In November, the government in Pristina increased import tariffs on goods produced in Serbia and Bosnia to 100% from 10% set earlier in the month, saying the move aimed to protect Kosovo’s sovereignty and interests. The increased import tax will not apply to products of international brands made in Serbia and Bosnia. The U.S. fully supports the European Union led dialogue between Kosovo and Serbia, the statement noted, adding that a comprehensive, mutually beneficial agreement is in the strategic interest of the U.S.
“We caution against assuming that Kosovo or any other friend of the United States can take actions that run counter to our strategic interests without facing consequences to our bilateral relationship,” the U.S. embassy said, adding that as recent history has shown, Kosovo is successful when it unites internally and partners with the U.S. and the EU. The U.S. also said it encourages all political parties to contribute constructively to this process. “Actions which undermine the dialogue, disruptions from the sidelines, and refusal to suspend tariffs all run counter to U.S. interests,” the statement said, adding that what is currently needed is courageous leadership to promote our shared goals. In December, US President Donald Trump, in a letter to his Kosovo counterpart Hashim Thaci, urged Kosovo's leaders to seize the moment and reach a reconciliation agreement with Serbia, Kosovo's northern neighbour which does not recognise its independence. Afew days, he sent a similar letter to Serbian President Aleksandar Vucic. "As you enter the final phase on reaching an agreement with Kosovo that will bring long-sought peace to the region, I encourage you to seize this moment and to exercise the political leadership in making decisions needed to balance the interests of both countries," Trump said in the letter to his Serbian counterpart Vucic. 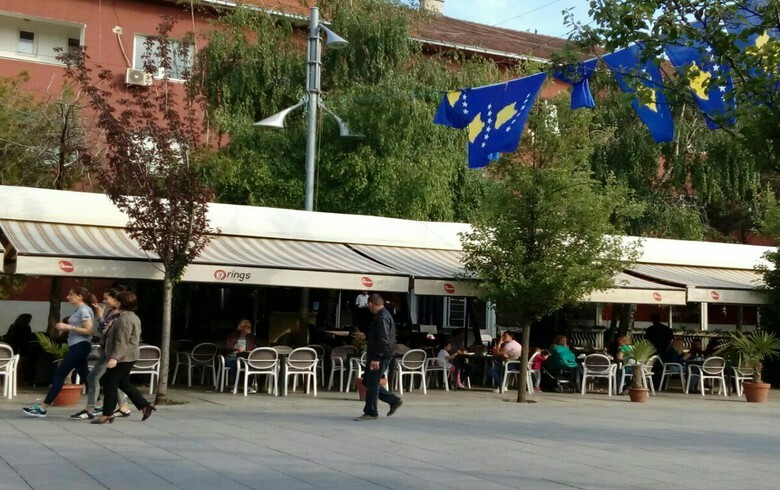 Kosovo, considered a potential candidate for EU membership by the European Commission, unilaterally declared independence from Serbia in 2008 and has so far has been recognised by more than half of the 193 UN member states.